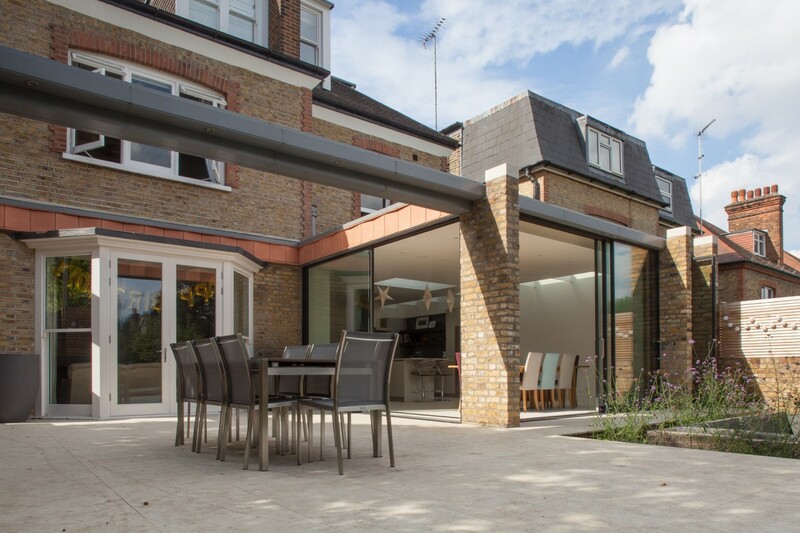 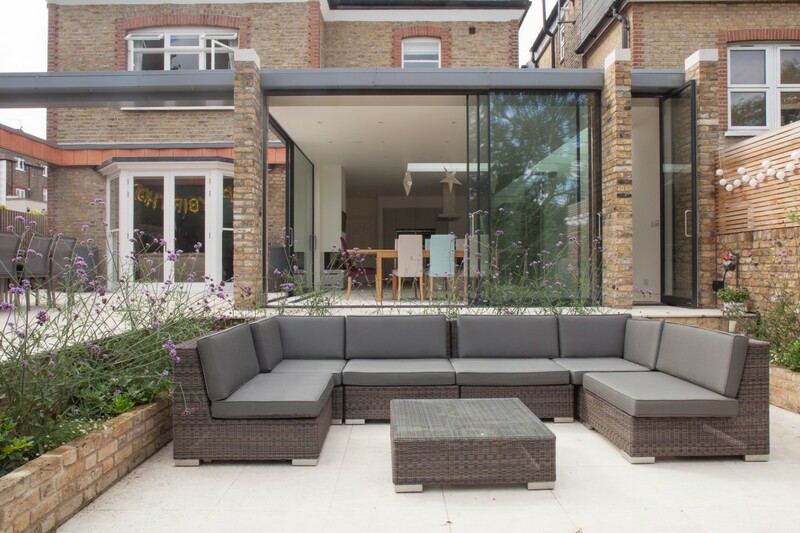 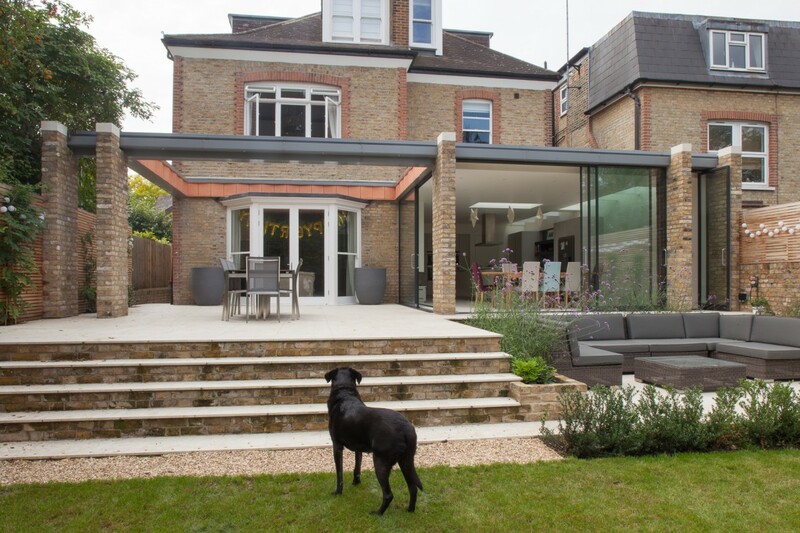 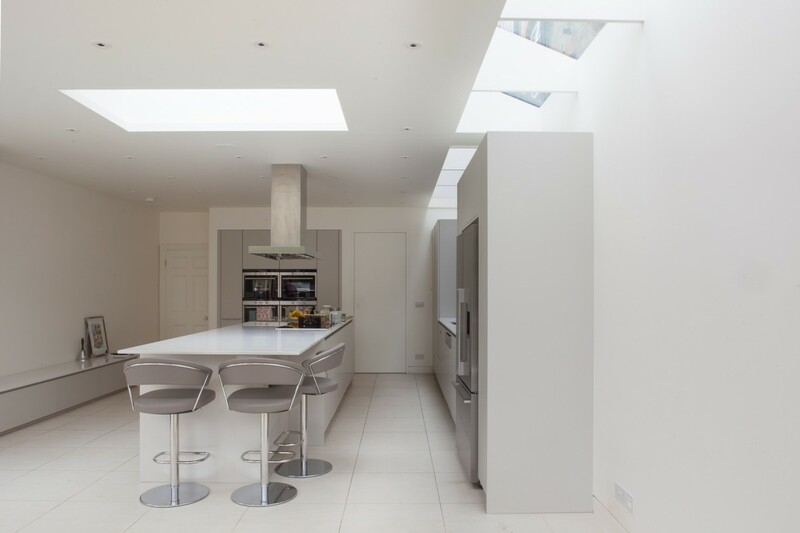 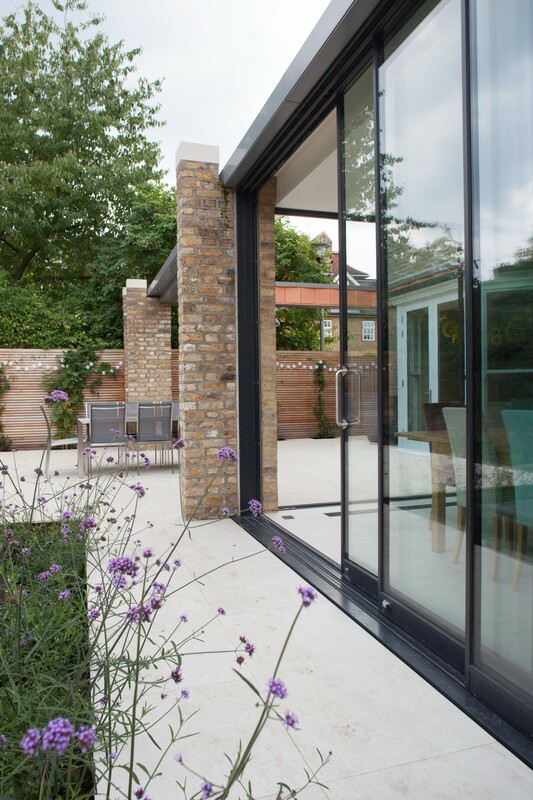 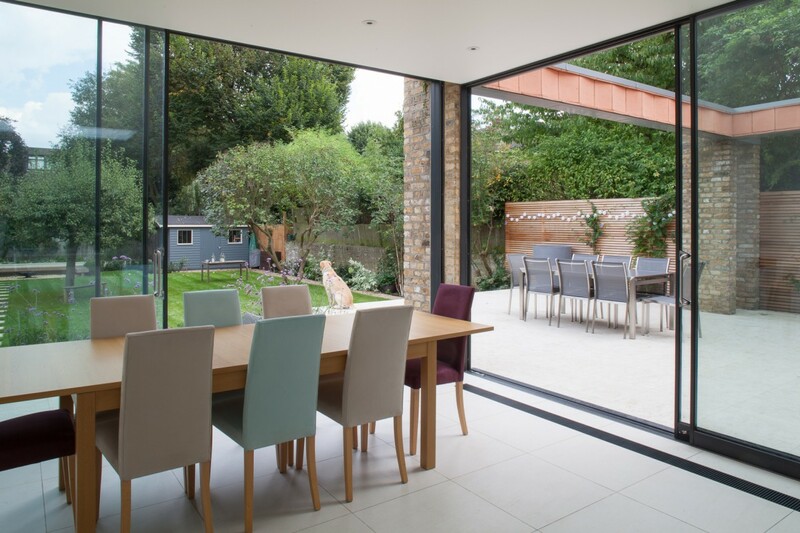 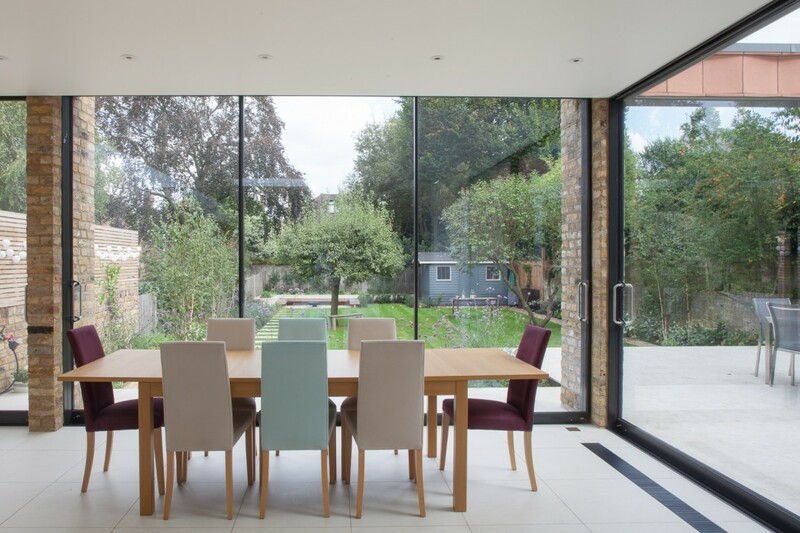 We aimed to bring the space and width of the garden into the interior of the house in this renovation and extension of a semi-detached villa in West Putney. 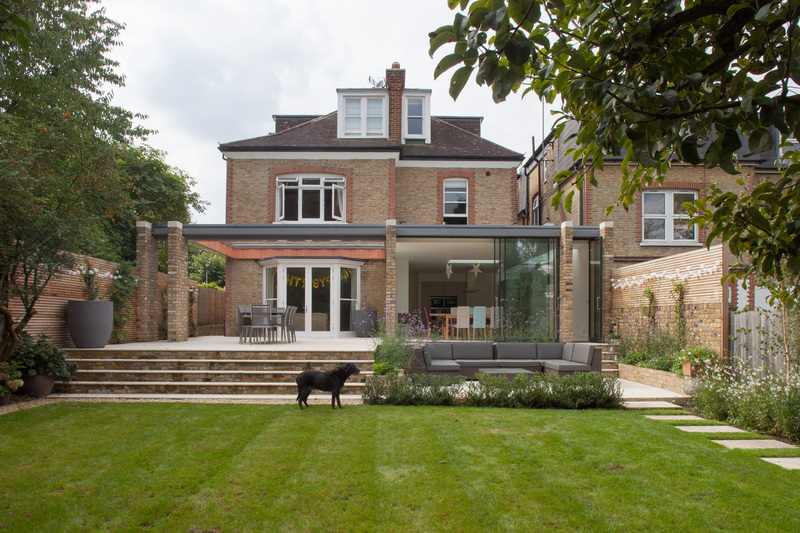 A line of tall brick piers define a permeable boundary between house and garden, creating a semi-enclosed courtyard placed between the contemporary new elements, the dining room and kitchen, and the original Edwardian house behind. Broad steps lead from the courtyard and terrace down to the lawn. 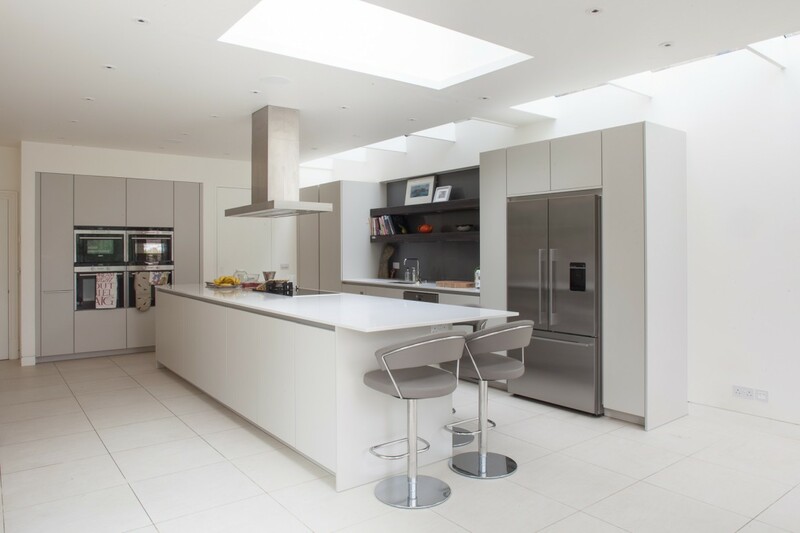 With Cheryl Knorr, interior designer.